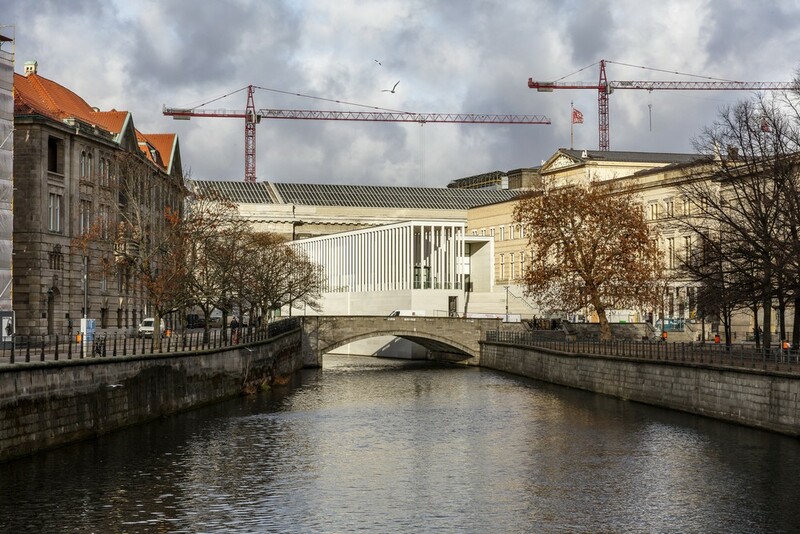 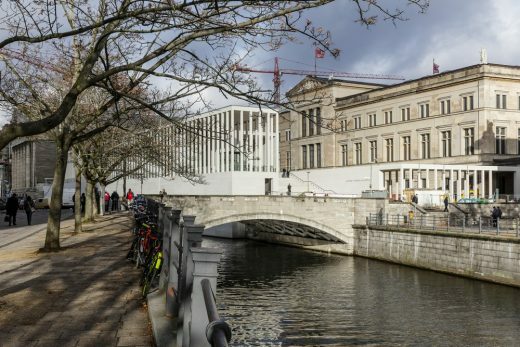 As a continuation of Friedrich August Stüler’s forum architecture, the James Simon Galerie serves as the new entrance building for Museum Island, completing the ensemble between the Kupfergraben canal and the south-west façade of the Neues Museum. 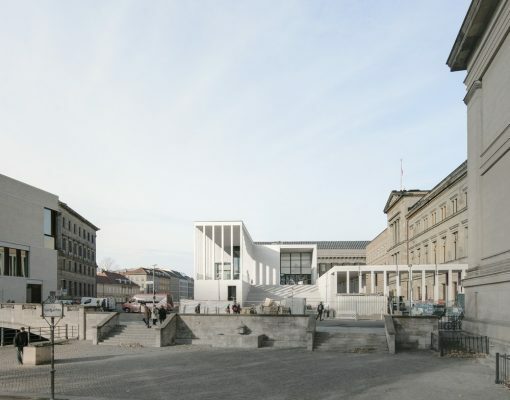 Together with the ‘Archaeological Promenade’, it forms the backbone of the masterplan that was developed in 1999 and adopted as the basis for all further planning on Museum Island. 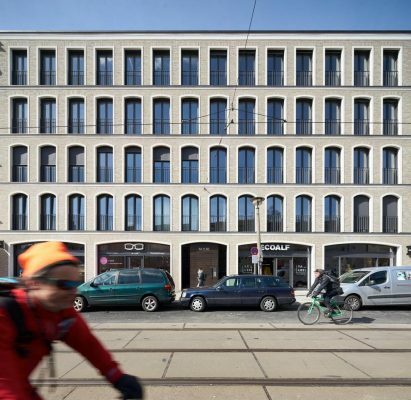 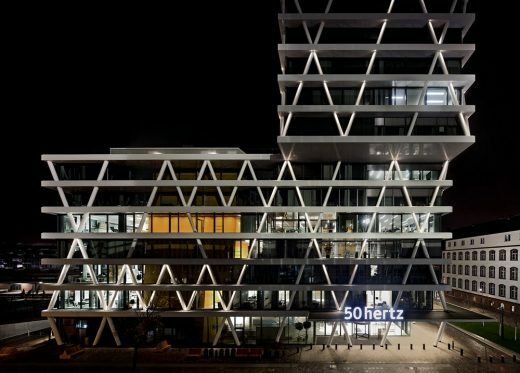 The building is sited on a narrow strip of land where Karl Friedrich Schinkel’s ‘Neuer Packhof’ administration building stood until 1938. A staggering of the building dimensions ensures that the view from the Schlossbrücke into the depths of the Museum Island and of the west façade of the Neues Museum is preserved. The high stone plinth of the building reinforces the bank of the Kupfergraben canal, above which a tall colonnade rises up, expressing a classical piano nobile. 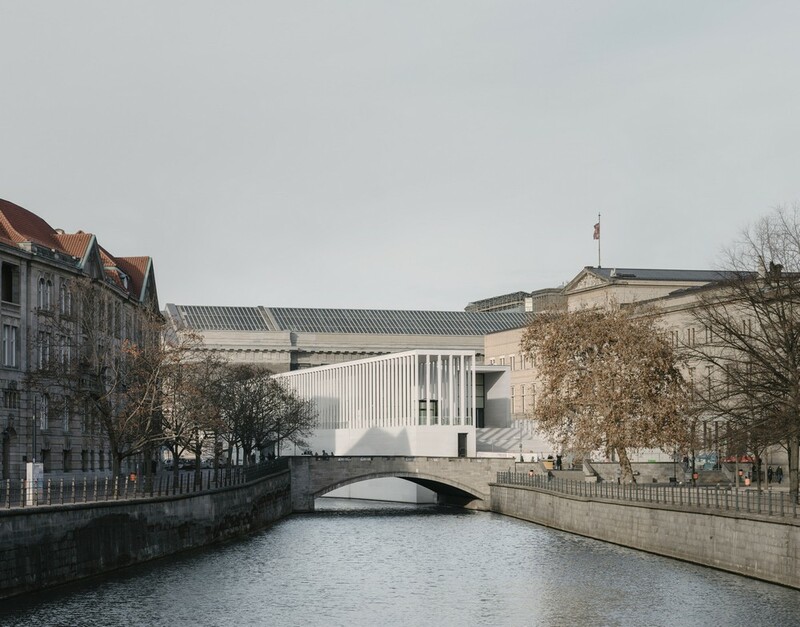 Large parts of this principal level will be accessible to the public outside opening hours, further extending the public realm of the Museum Island. 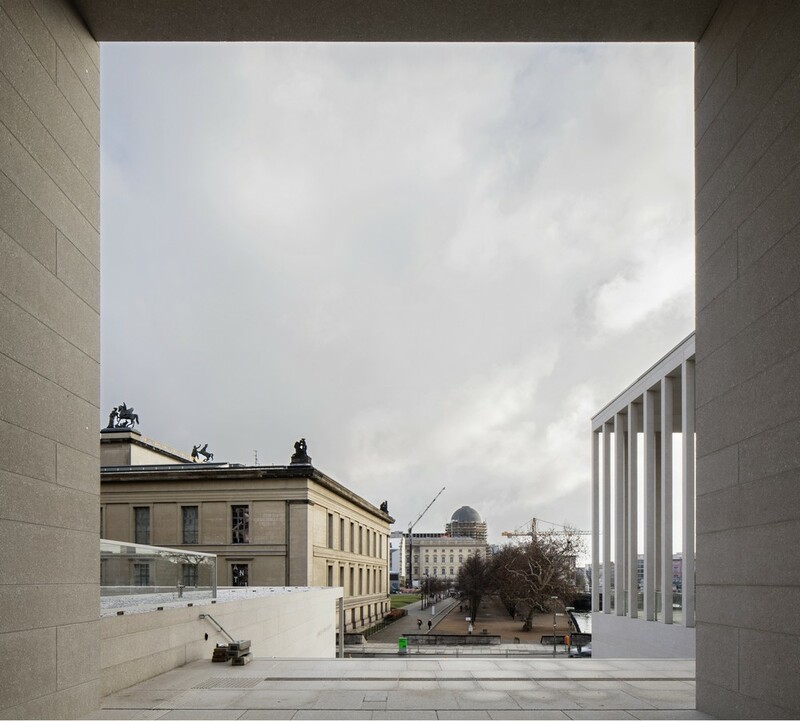 Slender columns become a leitmotif, reminiscent of the famous sketch by Friedrich Wilhelm IV for his ‘cultural acropolis’. 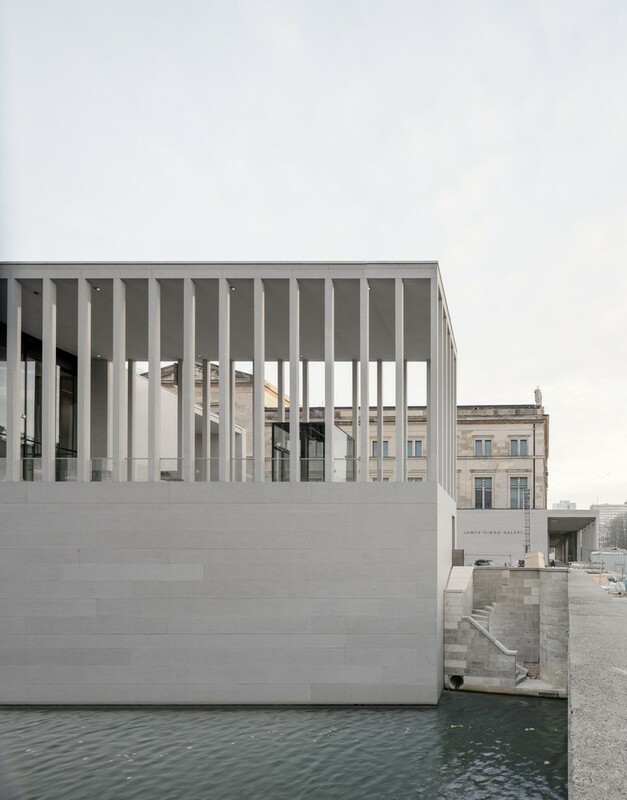 They continue Stüler’s colonnade that originally ended at Neues Museum, creating the new small colonnaded courtyard between the Neues Museum and the James Simon Galerie. Three flights of wide steps, set between the elongated plinth and the lower colonnade, invite visitors into the building. 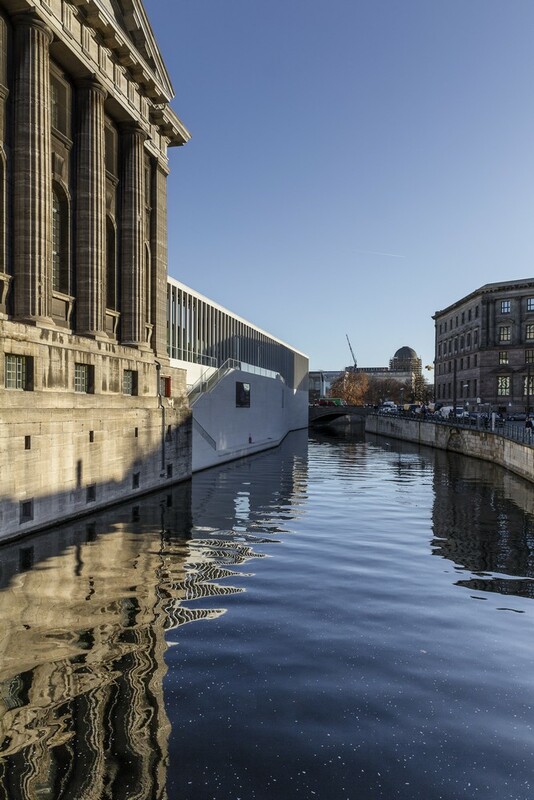 Arriving at the upper level, visitors enter a generous foyer, with direct level access to the main exhibition floor of the Pergamon Museum. 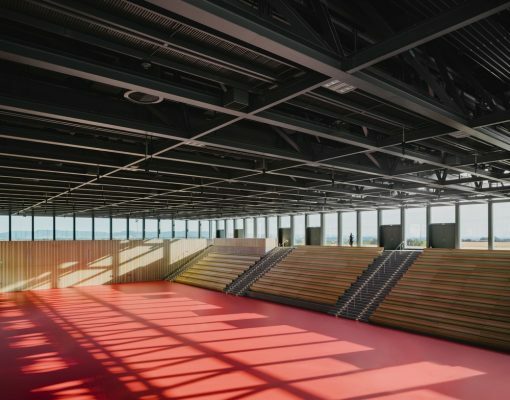 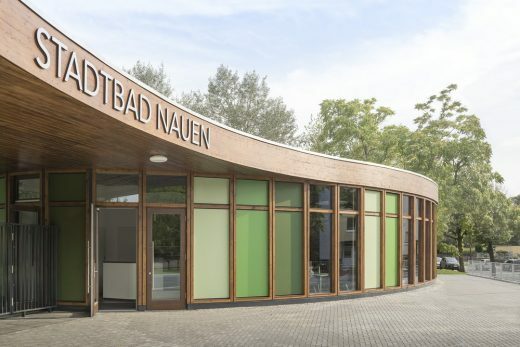 The foyer also encloses the cafeteria and opens out onto a grand terrace that runs the full length of the building. 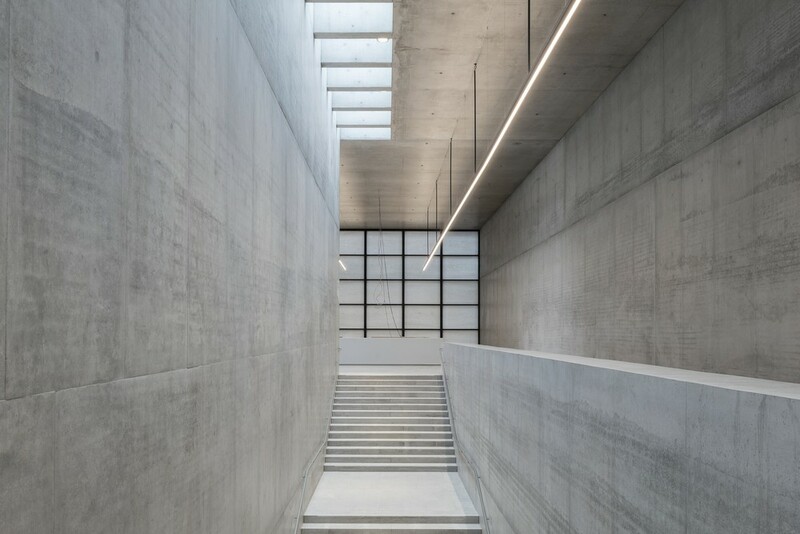 A mezzanine floor beneath the main entrance foyer accommodates the museum shop, a large cloakroom, toilet facilities and lockers, while the temporary exhibition spaces and an auditorium are situated in the basement level. 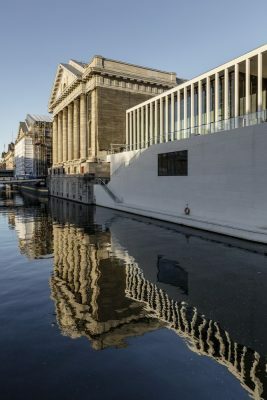 The architectural language of the James Simon Galerie adopts existing elements of the Museum Island, primarily from the external architecture, such as built topography, colonnades and outdoor staircases, making reference to Schinkel, Stüler and the other architects involved in the creation of Museum Island. 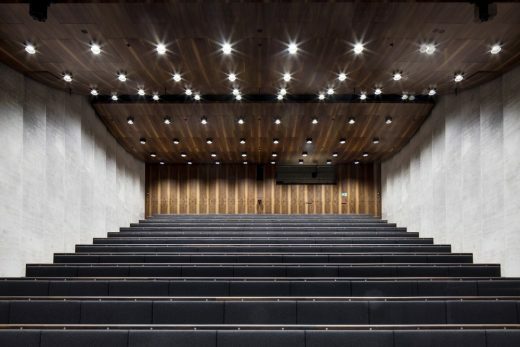 The materiality of the building in reconstituted stone with natural stone aggregate blends in with the rich material palette of the Museum Island with its limestone, sandstone and rendered façades, while smooth in-situ concrete dominates the interior spaces. 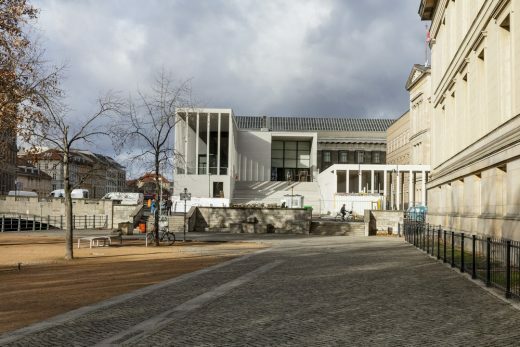 The entrance building is named after one of the city’s most important patrons, James Simon, who bequeathed his art collections and excavation findings to the Berlin State Museums at the beginning of the twentieth century.